The Madison County Cemetery Commission welcomes you. 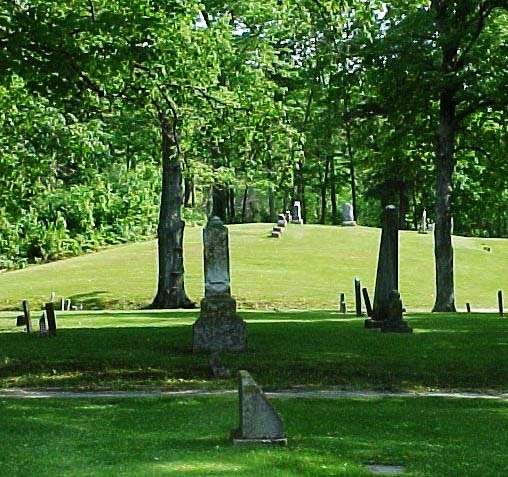 The purpose of the Madison County Cemetery Commission is to restore an d preserve the early cemeteries in our Indiana county. First formed in 1973, Madison County's sesquicentennial, the MCCC was established by the Madison County Board of Commissioners in response to public concern and the passing of state laws protecting the cemeteries of pioneers and early settlers. As in the past, today's Board of County Commissioners continues to recognize the need to maintain and protect this important part of our local heritage. 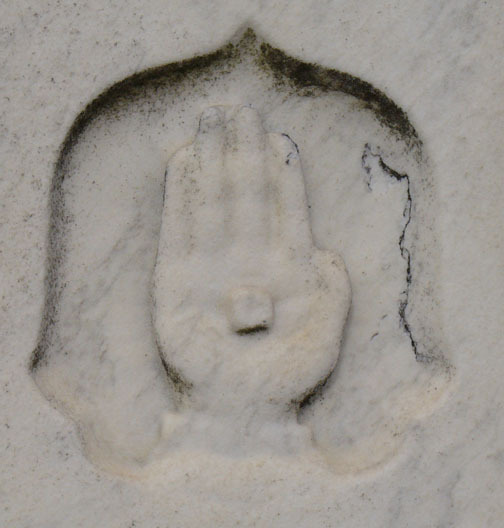 We invite you to browse through our pages--to take a walk, as it were, through our pioneer cemeteries, tour our Hoosier past, and meet our early settlers who did the hard work of making a community out of the wilderness. We might suggest that you meet an unassuming national hero of the War of 1812, the veteran who was killed with a tomahawk at the Strawtown Massacre, the twelve Revolutionary War soldiers buried in our county, the first white family--Moravian missionaries, 1801-1806,--descendents of a Mayflower pilgrim, a sweetheart of Hoosier poet James Whitcomb Riley, a friend of Daniel Boone, the protector of famous African-American Frederick Douglass, a Hancock whose ancestors escaped from hostile tribes, a responsible pioneer bartender, the very first mid-wife in the county, the rafts man who delivered the lumber for the first court house in Indianapolis, a merchant who supplied pork to Cuba, another who sold bear skins and beeswax, a postmaster who carried the mail in his hat, a strong man who could split 500 rails a day, an Anderson mayor who had a story about a raccoon, the justice of the peace who wrote everything in verse, the farmer who walked his hogs from Chesterfield to Cincinnati, the settler with the earliest birth date, 1748 (! ), the wealthiest businessman, the family who were traveling to Illinois when an ox died, or their son that helped preserve the area that is now Mounds State Park. Madison County has a lot of history to learn from and be proud of including the only instance during the 19th century that a United States court of law held whites strictly accountable for killing innocent Native Americans. The convicted were sentenced to be hanged, legally executed, and Native American tribal leaders were allowed to witness the event. 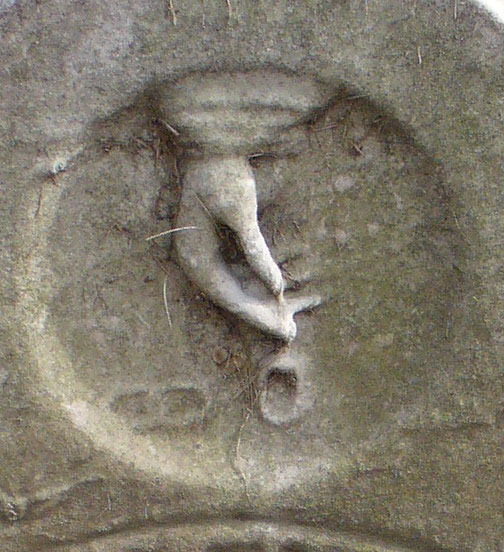 Cemetery List: This is where to start if you are hunting for a specific burial ground. 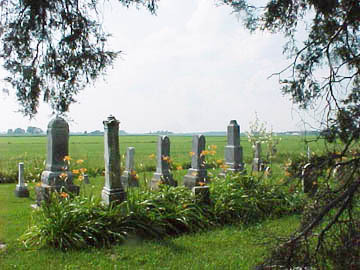 This section has an alphabetical list of all pioneer cemeteries in Madison County. 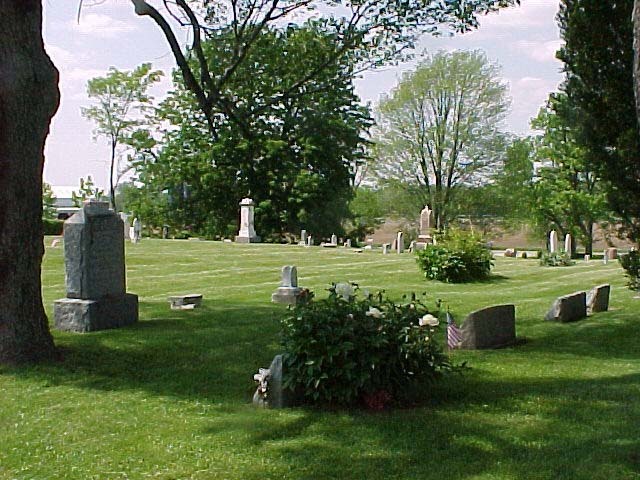 Each cemetery then has its own page which contains the cemetery's location, list of recorded burials, pictures, history, bits of biographies, and highlighted pre-Civil War veterans. If your ancestor was a pioneer or early settler, do not forget to look on the township history pages where you might find more biographical information. History & 1876 Maps: If you are researching the early history of Madison County or any of its townships, start here. This section provides a look at pioneer life, the beginnings of Madison County, and the 1876 map of the county. Each township page then continues with early Madison County history and includes for the individual township the 1876 plat map, pictures, biographical sketches, a list of early settlers, and a list of cemet eries. Maps to Cemeteries: If you want to visit a cemetery, this section shows for each township the modern roads and locations of the pioneer cemeteries. Photo Galleries: If you enjoy looking at pictures, go here. This section has multiple galleries. Among them are "Pioneer Homes and Buildings," "Native Americans," and "Revolutionary War Veterans," which compile all the pictures used throughout the site on each respective topic. Archives: This section highlights the mid 20th century efforts--before protective state laws were passed--of the Madison County Historical Society's Cemetery Conditions Committee to find and record all cemeteries in the county and to transcribe their grave markers. Newspaper photos from the time illustrate the committee's hard work. Those cemeteries completely destroyed for profit or desecrated for convenience are discussed as well as the contributions of earlier individual county historians. If you have questions or comments about this site or the historical information presented, please contact Melody, web site author and manager, at thull@iquest.net. Madison County Historical Society at nmlawler@gmail.com. 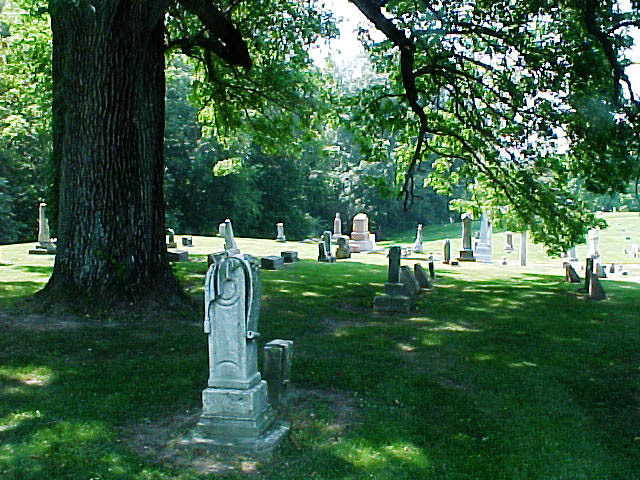 The Madison County Cemetery Commission is a legal county entity designed to assist township trustees with their responsibilities in regard to old and abandoned or relinquished burial grounds. In Madison County, the preservation of our history has been not just a legal responsibility but an ethical duty in amicable co-operation. 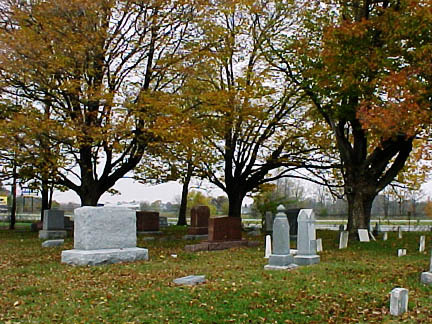 (1) Assist township trustees with the restoration and maintenance of abandoned cemeteries under IC 23-14-68. (2) Notify the county auditor and county recorder of the location of cemeteries within the county. (3) Educate local officials and residents concerning the legal requirements regarding the care, protection, and preservation of cemeteries. 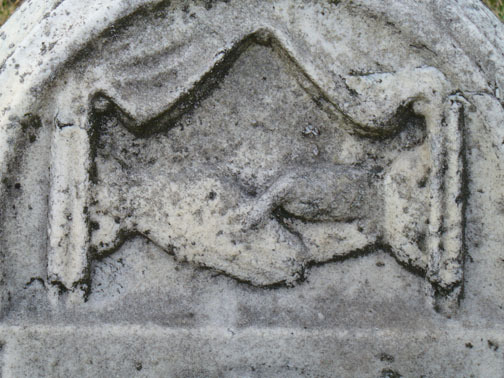 (4) Designate cemeteries within the county as active or inactive with regard to future burials." "Application of Chapter, Sec. 1. (a) This chapter applies to each cemetery that: (1) is without funds for maintenance; (2) was in existence on February 28, 1939; and (3) is operated by a nonprofit organization or is not managed by any viable organization. 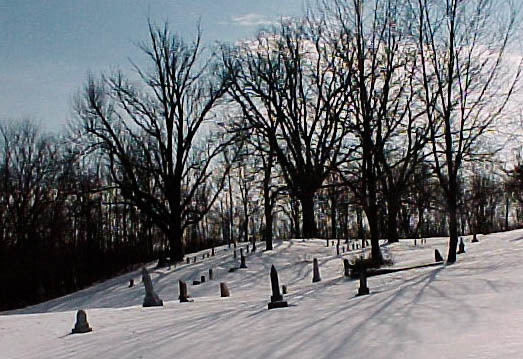 (b) This chapter does not apply to a cemetery located on land on which property taxes are assessed and paid under IC6-1.1-4. "Maintenance of cemeteries, Sec. 3. For the purposes of this chapter, the maintenance of a cemetery includes the following: (1) Resetting and straightening all monuments. (2) Leveling and seeding the ground. (3) Constructing fences where there are none and repairing existing fences. (4) Destroying and cleaning up detrimental plants (as defined in IC 15-16-8-1), noxious weeds, and rank vegetation. "Trustee's failure to perform duties, Sec. 5. A township trustee who fails to perform the trustee's duties under this chapter commits a Class C infraction." This site is a work in progress. If you would like to contribute biographical information about a pioneer buried in Madison County, ask for a reciprocal link to a family genealogy web site, or suggest a pre-Civil War homestead, house, or building for a picture, contact Melody thull@iquest.net . 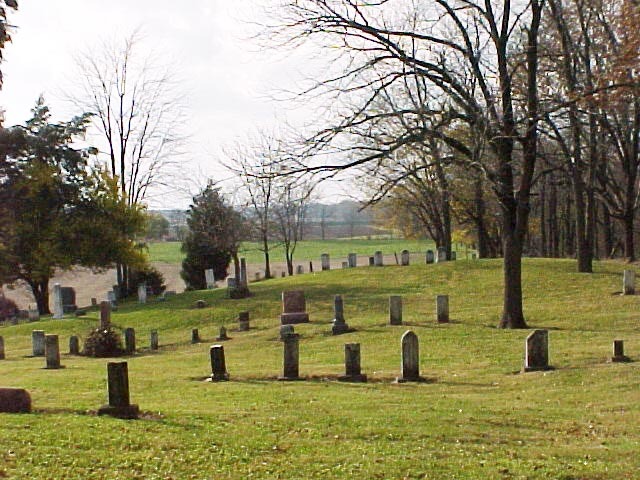 Atlas of Cemeteries and Record of Deceased Veterans of Madison County, Indiana. Zook, Haroldyne, compl. n.p. 1988. Baker, Ronald L. From Needmore to Prosperity. Indiana University Press. Bloomington & Indianapolis, 1995. Bock, Gene. "Man About Town." Anderson Herald-Bulletin, Anderson, Dec. 6, 1969-Sept. 7, 1970. Davis, Raymond. "Memorial to Patriots of the American Revolution Resting in Madison County." Biographical History of Madison County, Indiana. Hawkins H. H., editor. n.p. Anderson, 1978. Dittlinger, Esther. Anderson A Pictorial History. G. Bradley Publishing, Inc. St. Louis, 1990. Forkner, John L. History of Madison County, Indiana,Vol. I & Vol. II. Lewis Publishing Company. Chicago, 1914. Harden, Samuel. History of Madison County, Indiana. n.p. 1874. Harden, Samuel. The Pioneer. William Mitchell Printing Company. Greenfield, 1895. History of Madison County, Indiana. Helm, T. B., editor. Kingman Brothers. Chicago, 1880. McPherson, Alan. Indian Names in Indiana. The Blasted Works. Monticello, 1993. 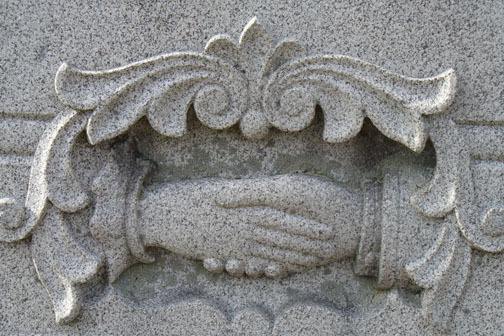 The MCCC wishes to thank Beth Oljace and Ranny Simmons for compiling and offering for use on this web site the Anderson Public Library's Tombstone Records Database. Unless otherwise noted, all the photographs contained herein were taken by MCCC members. Melody would like to also thank Tom Hull for his help in taking pictures and setting up the program and John P. Summers for his gift of the Madison County history books. 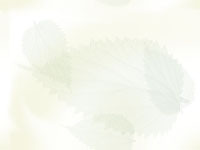 Send questions or comments about the site to Melody Hull via thull@iquest.net .